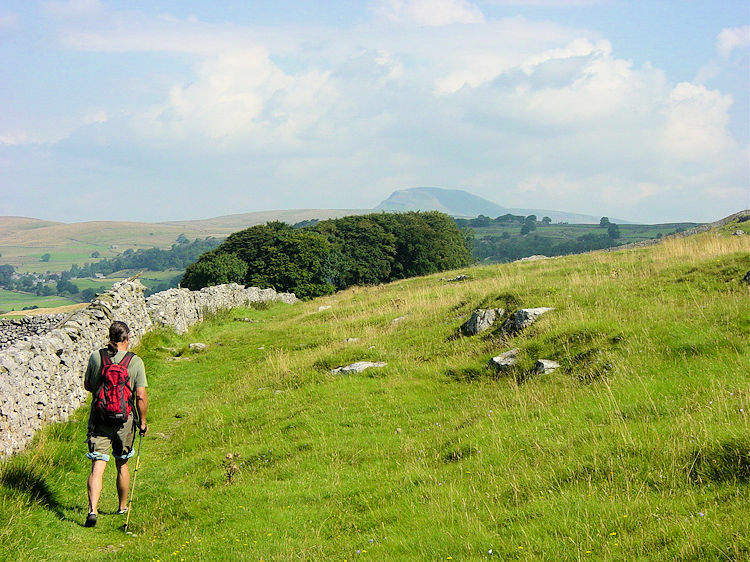 Summary: The walk begins and ends in Settle, one of the most popular Yorkshire Dales market towns. It is certainly one of the prettiest. 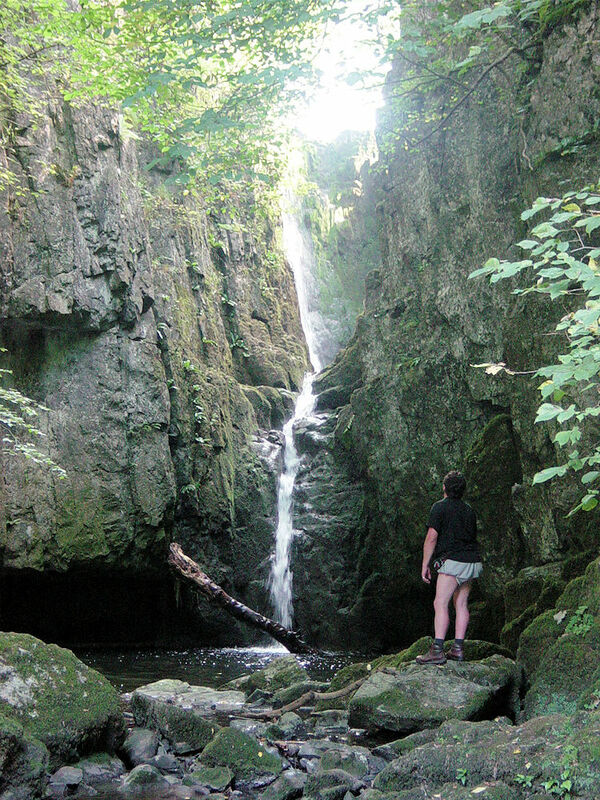 The walk from the town starts with a climb to higher ground followed by a fell walk to visit to a lovely secluded waterfall. 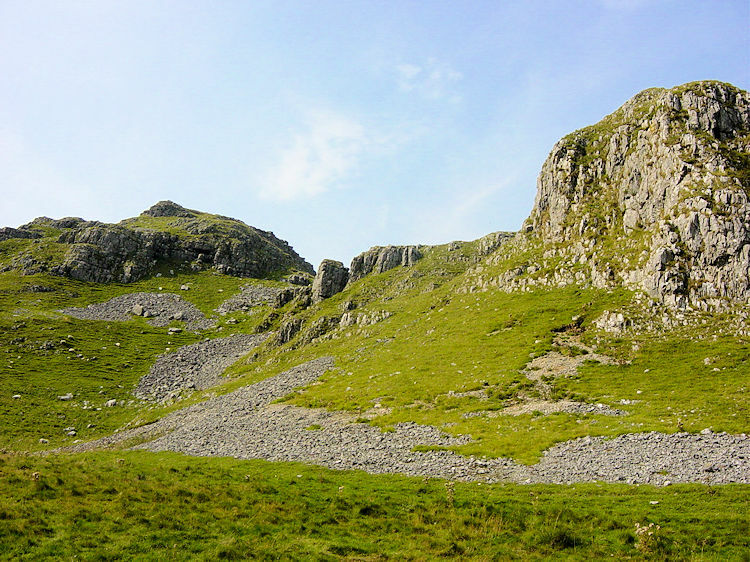 Then the walk follows open fells and quiet road before visiting Victoria Cave and Attermire Scar before returning to Settle. This walk was the final one of three days enjoyed by me, Stewart and Deke in the late summer of 2003. 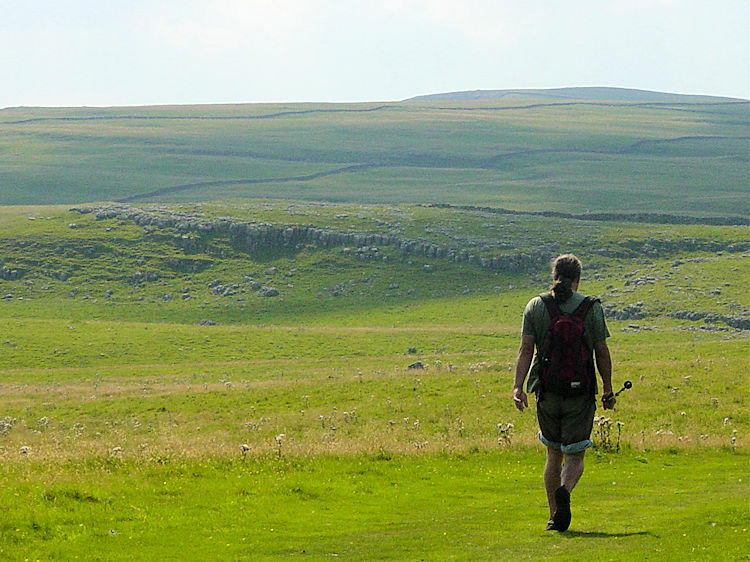 It was a walk in classic Yorkshire Dales country which had some spectacular moments, some laughs, some mishaps and some pain. At the end of it all Stewart practically crawled in but then he had done three continuous days walking, something he had not done for a long time. As with our previous two days in Dentdale and the Howgill Fells we were lucky with the weather. 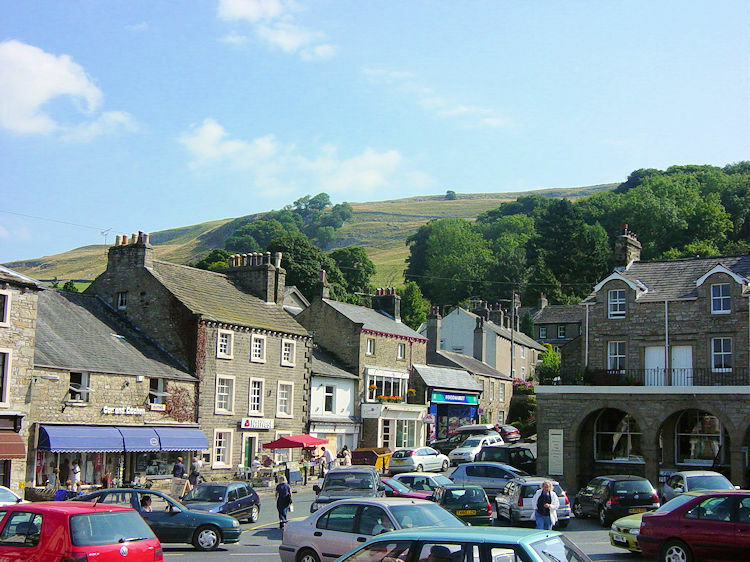 It was a hot sunny morning that greeted us as we left Sedbergh to travel to Settle and it got warmer as we drove over. At 10.30am we were ready for the off but not before we had collected sandwiches and drinks from Dekes favourite Settle bakery. 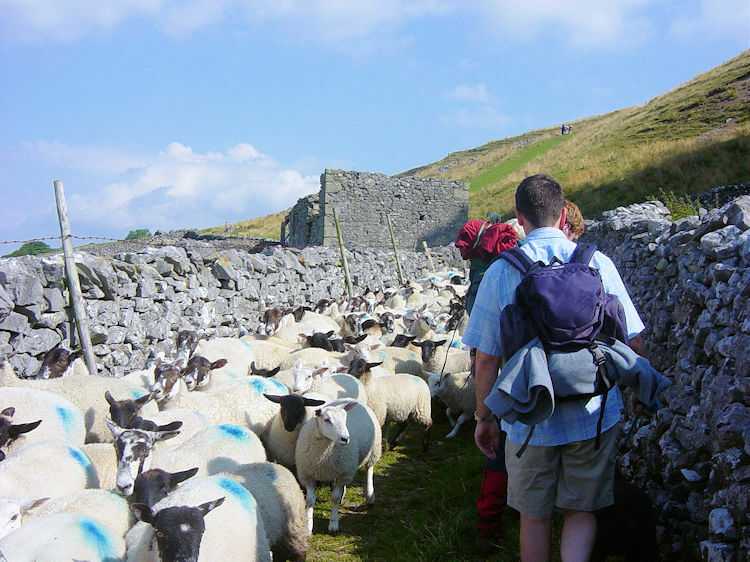 Then it was a stiff walk out of Settle up steep streets onto the fell side via a bridleway which was blocked by sheep that were being taken away from the only place they had ever known to a far darker place. What some innocent animals suffer for our Shepherds Pies and Cornish Pasties. 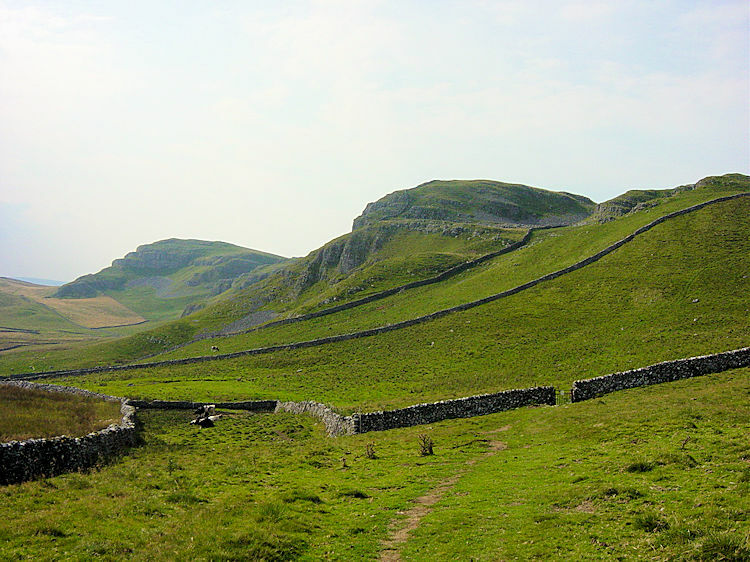 The walk took us further up and further away from Settle in a northerly direction towards the eastern fringes of Langcliffe before we headed on a gentle incline to Winskill Stones which would lead us to Catrigg Force. 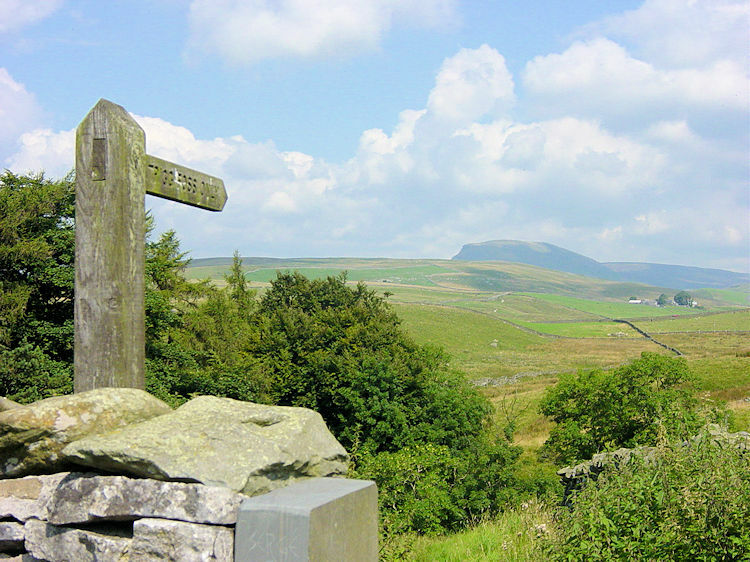 This initial walk in the quite of the Yorkshire Dales is great and on a clear day you can get fantastic views of Pen-y-ghent, my good friend Steve Scott's favourite hill. 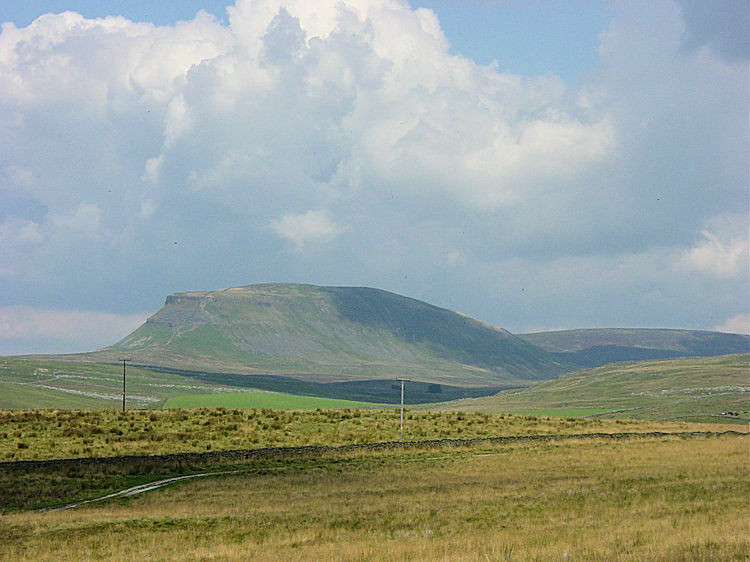 When viewing Pen-y-ghent I was thinking of you Steve, stuck in the Quantocks! 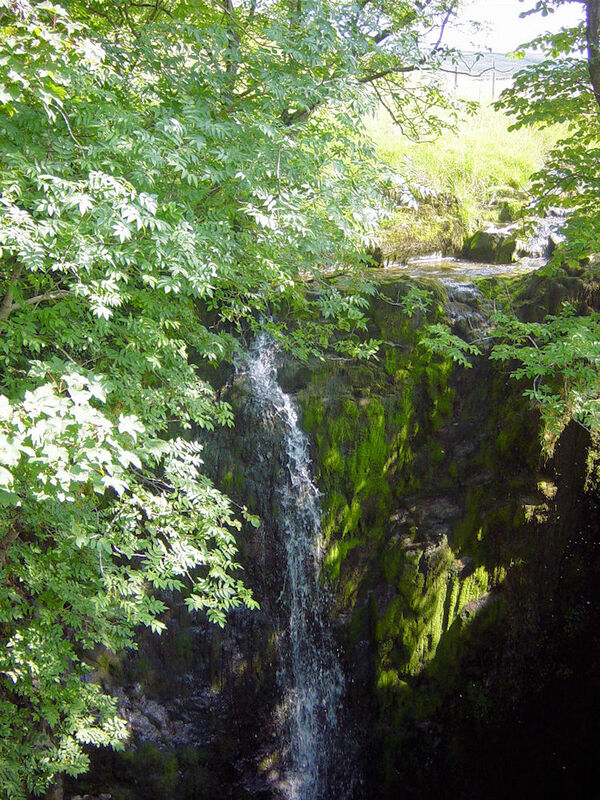 Catrigg Force is a beautiful waterfall surrounded by a quaint little wood. It is a wonderful place to dwell a while and so we did. The water cascades down the falls in an area of deep tree lined idyll. This is fantastic in itself but you are in for a surprise yet if you've never been here before. I stood at the top of the waterfall and wondered where Stewart and Deke had gone. Then I spotted a path leading down into the wood and followed it as it winded down to running water at the bottom. There were more smaller waterfalls here to enjoy but as I tracked back upstream I walked into a vast open area surrounded by deep rock sides that had been cut out by the major waterfall when it was a much more potent force. The area was charming and it was here that we stayed a while watching the water flow over the top and down into the pool it had created 25 feet below. In fact we stayed quite a long time. After Catrigg Force had beguiled us we reluctantly left and followed a footpath east across fields between Gorside and Cowbeck to reach roadside which we followed east to a t-junction at Henside. 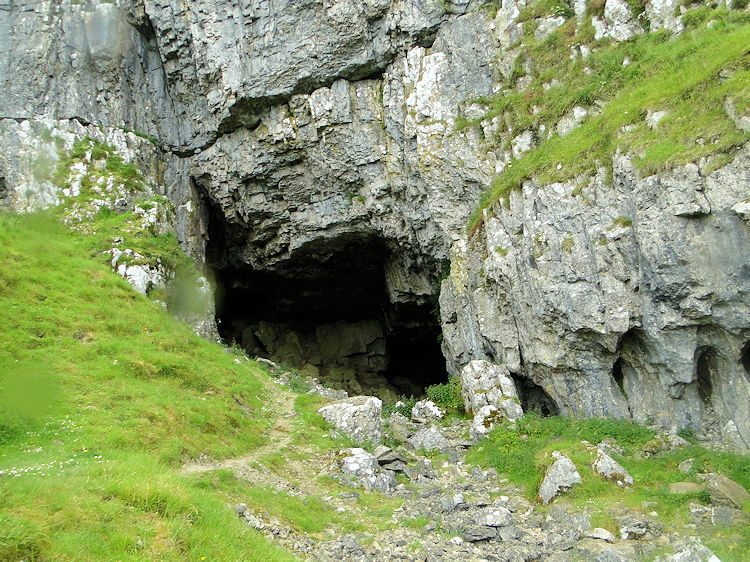 Then we took the right fork to Capon Hall before leaving the roadside to follow footpaths to the north of Langcliffe Scar and then past Jubilee Cave before continuing south to Victoria Cave. The walk was fantastic on lovely velvet ground in the best of limestone country. 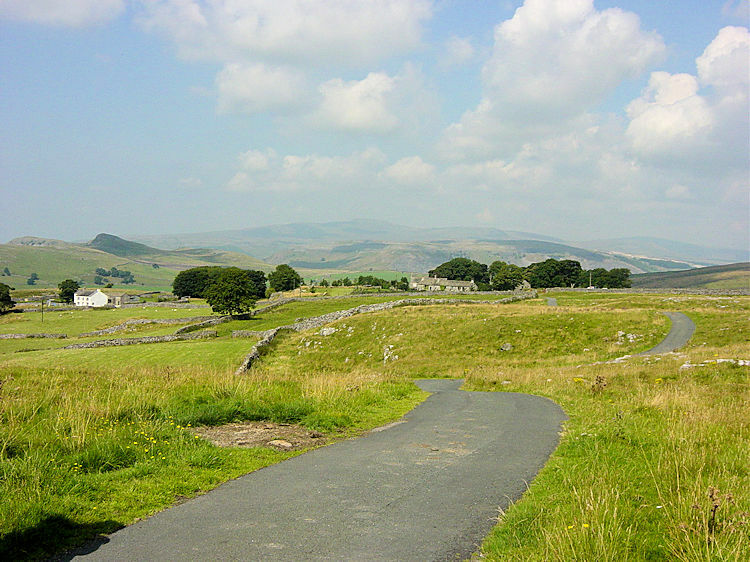 Even the section along the road was lovely, there was hardly a car to interrupt the peace of the Yorkshire Dales. We reached was Victoria Cave. At the cave Stewart, who had been visibly waning for some time perked up. We peered into the cave without entering. Signs warned us not to do so and as we were feeling responsible we obliged. We explored the outside for this area is a place to explore at length. The limestone formations are some of the best, a fantastic part of the Dales and one of my all time favourite places in this great park. The views of limestone outcrops and pavements are superb and almost unabating as you leave one interesting limestone formation and are suddenly faced with another. This brilliant section is about three miles long if you include a diversion to Settle Scar but it never feels it and it is one of those walks that you will do time and time again. After a while playing around, because it takes you back to feeling like a youngster exploring the land Stewart's new vigour was spent and it was sadly time to leave. we walked the final couple of miles with Stewart being coaxed along by Deke. I walked on and after the final climb onto the fell top above Settle I waited for the boys. Five minutes later Deke arrived, and a further ten passed before a weary Stewart trudged over the final hill. "I am knackered but I have done it" he claimed. He had.